Quay Lodge is a landmark structure which will be the highest structure in Dublin and the tallest residential building in Ireland. 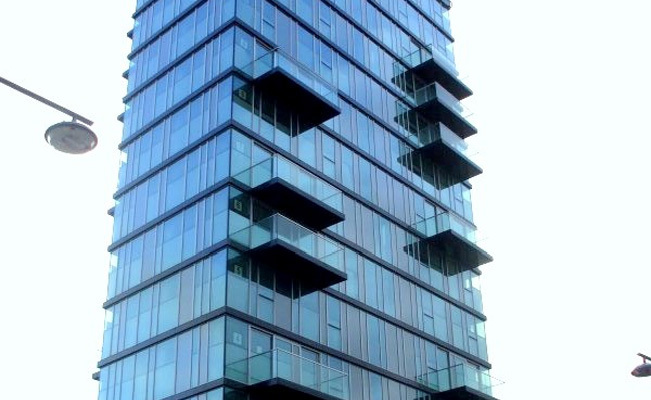 It comprises a 14-storey building with RC core and clad entirely in glass. The project is located in the prestigious Grand Canal Quay area in Dublin City centre. Smyth Steel were engaged to fabricate and erect the steel and composite decking on a very restricted site employing just-in-time deliveries and specialist erection techniques.